Other information: Fostered with other cats. Would love to be adopted with one of his siblings Mooney or Bella. Granger and his siblings turned up at an acreage near Regina towards the end of summer, hungry and frightened. 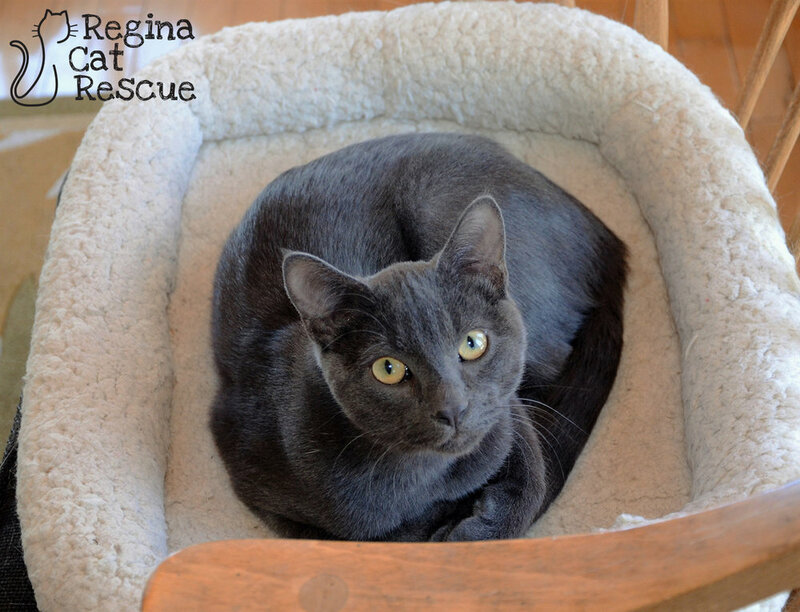 The kind family took them in and began caring for them, and contacted Regina Cat Rescue for help. The beautiful kittens have done well in foster care, and are ready to find forever homes. Granger is a velvety soft grey fellow with the subtlest of tabby markings. If you look closely, you can see the trademark M on his forehead. This little cutie is a bit shy at first with strangers, but he does like to be with people and he loves other cats. He's very playful and his most heartfelt wish is to be adopted with one of his siblings, Bella or Mooney. If you are interested in Grainger, click here to view our adoption contract and click here to complete an adoption application or email the RCR Adoption Coordinator at rcradoptions@gmail.com for more info.